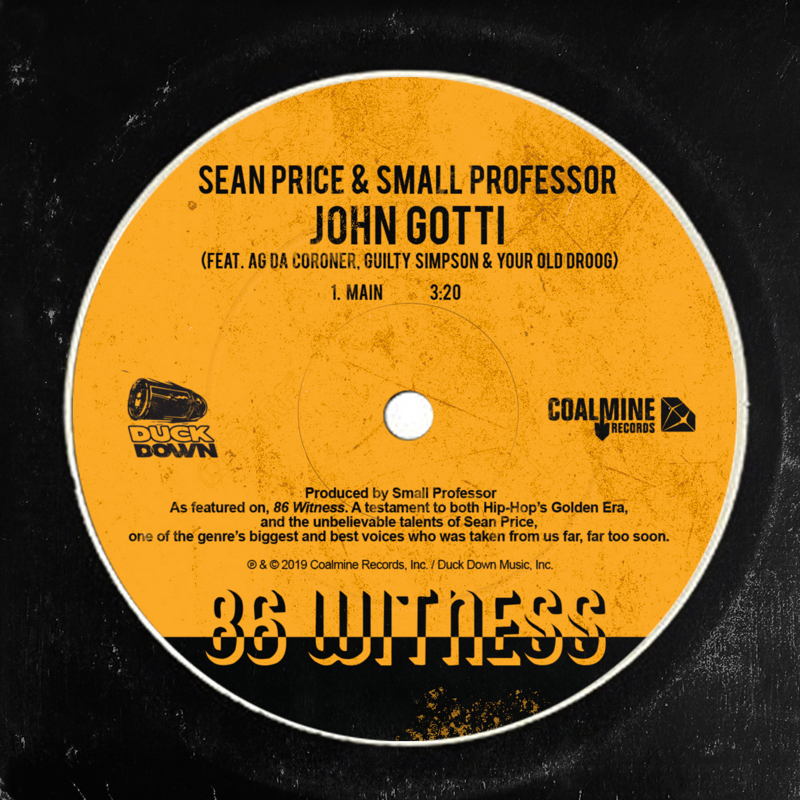 86 Witness, the long-awaited collab album from Sean Price (RIP) and Small Professor is just days away. Until then, enjoy the lead single “John Gotti”. We miss Sean Price. But while his physical may no longer be with us, the spiritual lives on and thanks to Small Professor, there’s an upcoming collab album on its way. 86 Witness is out on 8th February and features a slew of top names including Guilty Simpson, Your Old Droog, and Quelle Chris. On John Gotti, the former two join Price and SP alongside AG Da Coroner for a straight-up stonker. It’s a hip hop instrumental with hip hop fundamentals – a neck-breaking beat with a foreboding melody. For the lyricists, it’s a fantasy cypher of impeccable quality. Sean Price opens with some Looney Tunes references before name-dropping Sly while Guilty, Droog, and AG responded with equally hyped rhymes spraying all over the place. No skits, no gimmicks, just a dope beat with some dope rhymes.